You may also purchase a digital copy of the book, to read on your Apple device, through the iBooks Store from the Friday 22nd May 2015. 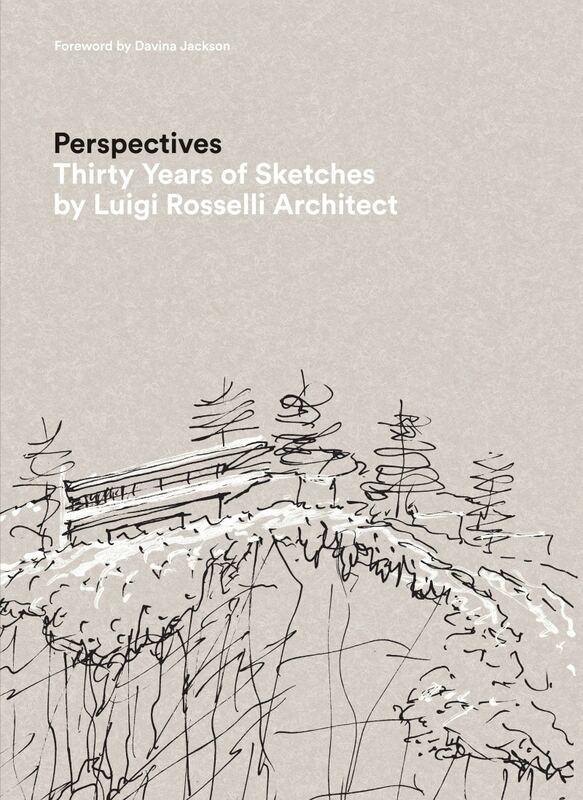 To celebrate Luigi Rosselli’s 30 years of sketching architecture, an exhibition at the Mils Gallery (below his studio) at 15 Randle Street, Surry Hills, Sydney titled; A PERSPECTIVE: 30 YEARS OF SKETCHES BY LUIGI ROSSELLI ARCHITECT, will open 23 April-6 May 2015 (Wed-Fri 1-6pm, Sat 12-5pm) and a 150 page book is being published for the occasion. Rejecting ‘the boring approach’ to exhibiting sketches on plain white gallery walls, Rosselli instead is assembling more than 1000 of his translucent yellow illustrations as a ‘veil of windswept leaves’ layered over a dramatically sculpted and internally lit portal that visitors may walk through. 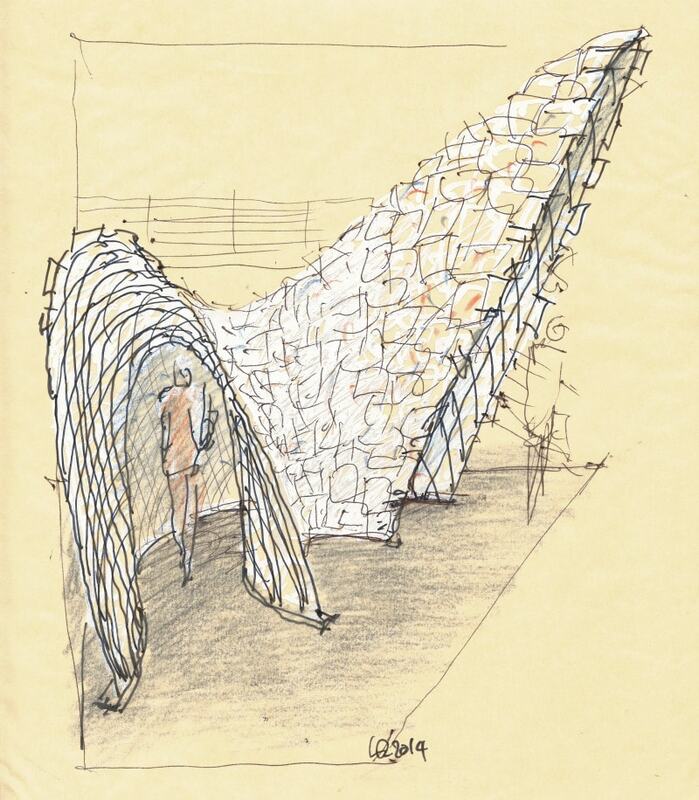 Named the ‘Paper Arch’, this exhibition icon will potently engage viewers with scores of fragile ‘first impressions’ that Rosselli has imagined and rendered with passion and professionalism. 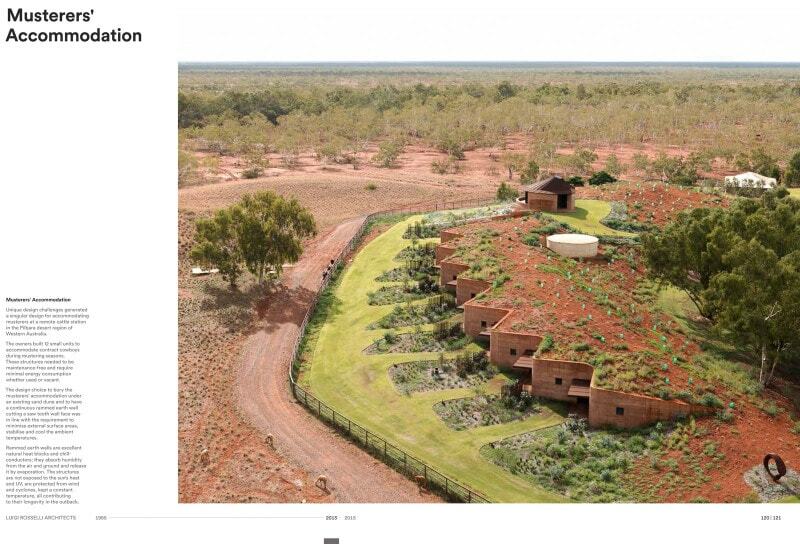 He first came to Australia from New York in the early 1980s, as ‘Chief Inker’ with Romaldo Giurgola & Thorp’s team designing Australia’s Parliament House in Canberra. 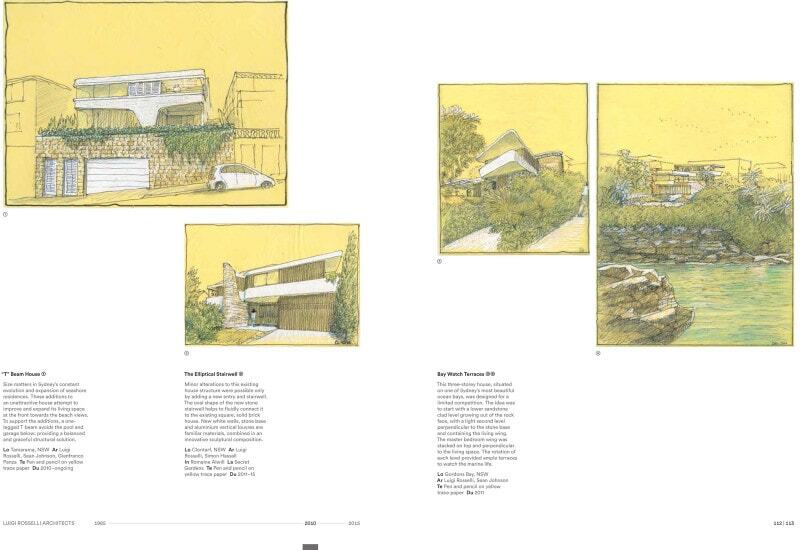 As a student he worked with leading Swiss architect Mario Botta, whose concept impressions are exemplars of late 20th century architectural artistry. 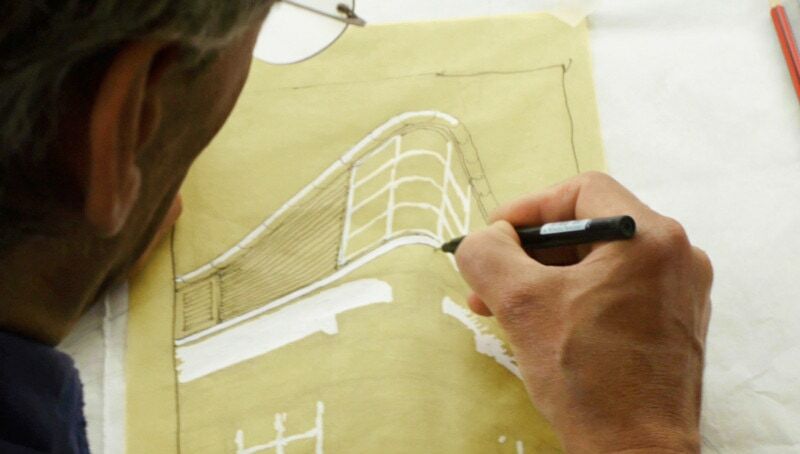 As a ritual since founding his own practice in Sydney, Rosselli shows clients his freehand design concept drawings using black felt pens and white Tipp Ex (correcting fluid) on translucent yellow tracing paper (often called butter paper), torn from small rolls. 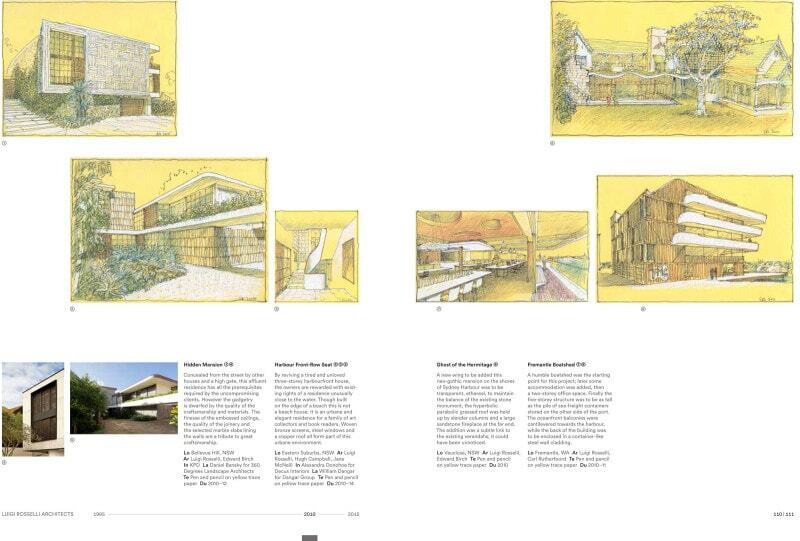 These forecast memorable future views of his building proposals – and the sketching style is sunny, inventive, romantic and elegant.